Winter in Nebraska doesn’t just mean snow. Dangerous wind chills like we just had can pose problems for anyone who has to be outside. 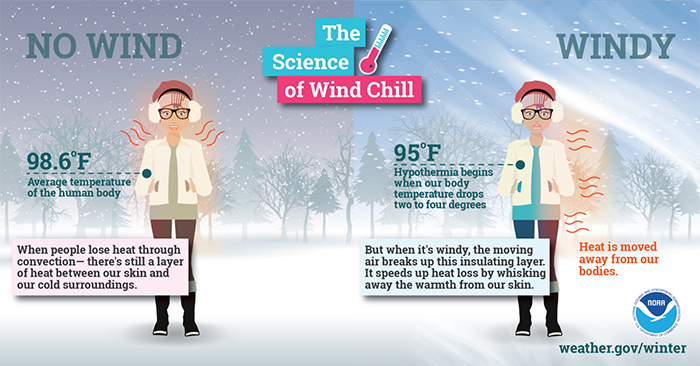 The wind chill index helps determine when dangerous conditions develop that could lead to frostbite or hypothermia. It takes into account heat loss from the human body to its surroundings during cold and windy weather. The National Weather Service gives the example of a temperature of -5 degrees with a 20 mph wind gives a wind chill of -30 degrees, meaning your body would lose heat at the same rate as it would if the air temperature were -30 degrees with no wind. 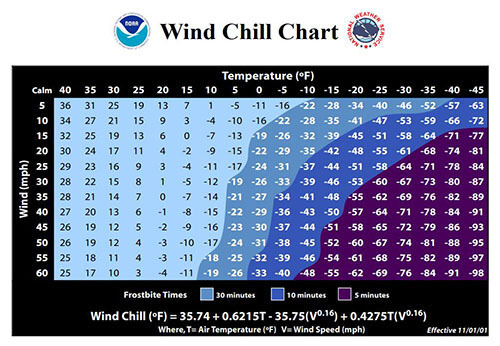 The graphic below can be used to determine wind chill. It is best to limit your travel time when subzero temperatures strike. And anytime spent outside should be kept to a minimum. If you have to go out, make sure to dress right. 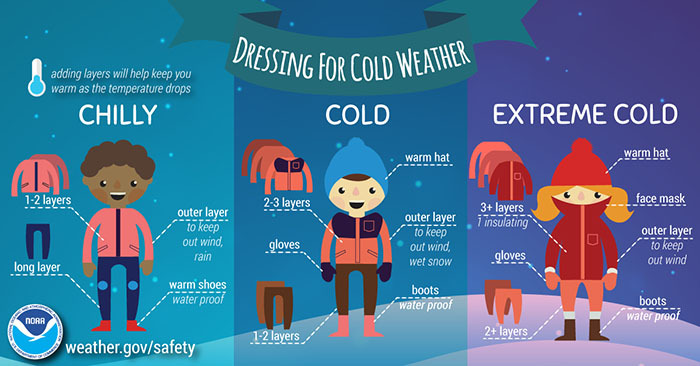 That means multiple layers of clothing, including proper head wear to keep heat in, and making sure very little skin is exposed to the elements. The following graphic, also from the National Oceanic and Atmospheric Administration, shows what wind does to the body.